Germany, a country famed for coldly efficient and effective people, fast cars and faster footballers. 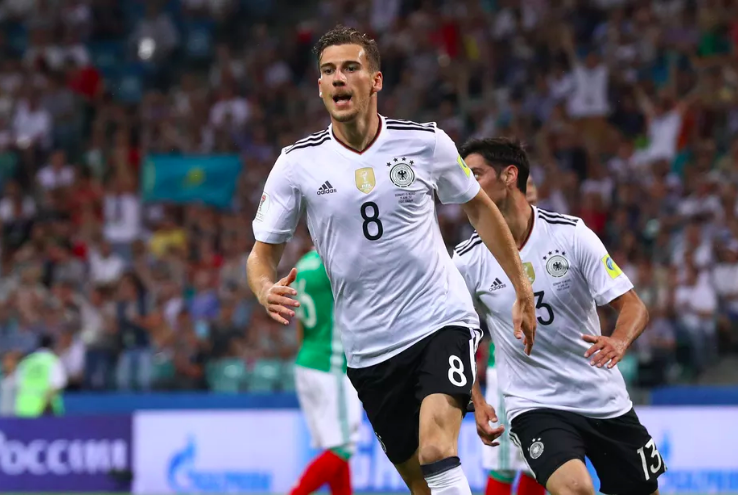 Die Mannschaft approach the World Cup as they usually do, a strong favorite. A country whose youth systems develop players of pace, powerful physique, soft touch, and skill, remains in a strong position to defend their title. A player who embodied this, when he won the World Cup with the deftest of touches, Mario Gotze, does not feature this time. But to say that the squad is in any form lacking would be foolery. Those left at home highlight the talent at Joachim Löw’s disposal. Two brilliant goalkeepers in Neuer and Ter Stegen, of contrasting styles, are players to keep an eye on. The comfort of Hummels on the ball and the continuous output of Joshua Kimmich provide a solid base for the team. Mesut Özil remains a crucial part of Löw’s set up in midfield, having been deployed slightly deeper more recently. Toni Kroos, amongst the best in his role, pulling strings, and starting moves from the back should be the man to watch in midfield. Leon Goretzka and İlkay Gündoğan both enjoyed excellent seasons at club level and can be expected to play crucial roles. Up front, the fresh blood of Timo Werner and the ever-reliable poacher in Thomas Müller are handy options. Of special interest to watch should be Leroy Sane, who has had a brilliant upward curve this year under Pep Guardiola, and offers a directness that all great German teams of yore have had. More talk seems to have been afoot about whether Zlatan Ibrahimović will make the world cup than Sweden’s actual prospects. Head coach Janne Andersson knows that while no one expects his team to go all the way, a spirited attempt is a minimum expectation. While for the likes of Germany, failure would be unimaginable, for teams like Sweden, the journey is as beautiful as the trophy. The images of them racing into a TV crew after qualifying for the tournament are both hilarious and endearing. Without the big Zlatan to rely on this time for bravado and goals, Sweden will have to find new heroes. The ball-playing ability of Victor Lindelof along with his set-piece abilities make him a crucial member of the fold. In midfield, Emil Forsberg, Swedish Player of The Year thrice in the last 4 years, will have to be at his best if Sweden are to have a good run. His ability to create and be a ball carrier should be the foil to the solid Sebastian Larsson. Larsson’s skill from a dead ball will also offer Sweden opportunities. John Guidetti up front should be a decent, if not superb option. The group selected will have to show they weren’t a team of one big Swede, but rather, a big Swedish heart. 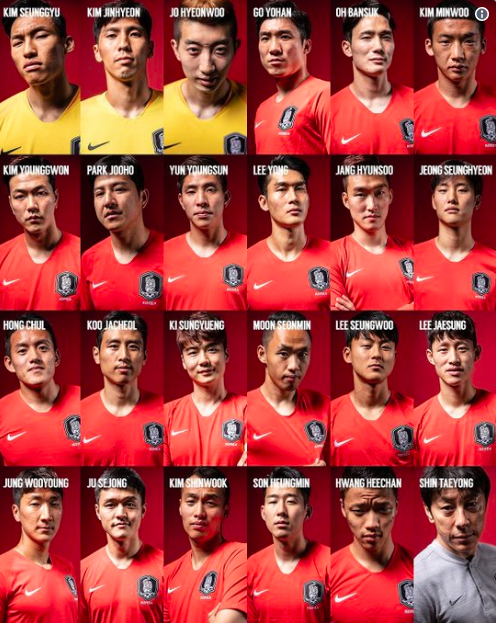 South Korea figure in the mix of this group as the least favored, a team to make up the numbers in most eyes. A squad comprising of players mostly not playing in the European circuit means there is little hype, but that may also foster a free spirit that allows this lot to do well. Ki Sung-Yueng captains the side and has played consistently at Premier league level, offers experience. A lot of the work up front will have to be borne by the shoulders of Son Heung-Min, whose hard graft and brilliant team play for Tottenham Hotspur has made him a household name the world over. A country that braved all the odds to reach the semis of this tournament in 2002, it will hope once again for the same. With an off the cuff style and work ethic, one can never tell. Each edition of the World Cup has had its underdog story, will this be the time of the Asian Tigers? 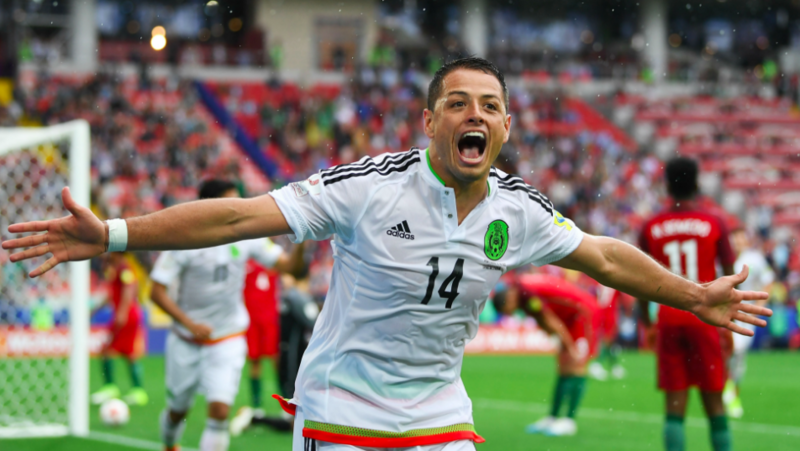 Mexico enters the World Cup as a heady, unpredictable brew. A country with footballers made from the rough and tumble of their streets, yet with trickery and flicks, are always a fun lot to watch. Six straight round-of-16 eliminations have become a frustrating familiarity, which the squad travelling will want to overcome. Juan Carlos Osorio will lead a team to a World Cup for the first time and will hope his players deliver. A potential Round of 16 clash awaits against Brazil, but with Germany and Sweden in the same group, Mexico will do well to manoeuvre themselves out of this stage. In midfield, the solid punch of Hector Herrera will be tasked with the responsibility of starting attacks from the back. Up front, there is a lot of excitement over Hirving Lozano, after a great year at PSV while Javier Hernandez remains ever the lethal poacher supreme. Not to be forgotten is talented Wing-Man Carlos Vela, whom Osario will push to feature in an inverted role on the right. Germany remains clear favourites to get out the group top and will be looking to chalk up big wins in the process. A favourable group means they’re expected to finish top, giving Löw a good chance to find out his best options in the playing XI. Second is a coveted spot, and there is a reasonable case to be made for all the featuring sides. Down to a bet, one is tempted to pick Mexico. The strong core of players, a history of navigating this stage, and the effect of a new manager can all weigh in. 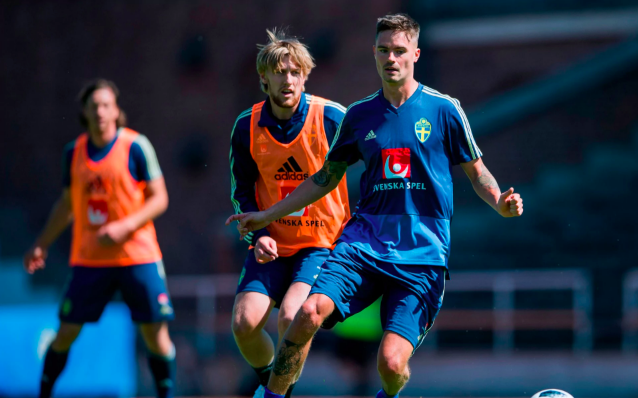 For Sweden, one wonders if the crop has enough quality throughout and whether it can overcome the persona Ibrahimović exerted. It’d be quite plausible to see them just lose out to Mexico in that tussle for second. The game between the two will be a six-pointer if there ever was one. South Korea will put up a great fight all right, but a real lack of players used to this level could be their undoing, putting them bottom. Then again, this sport of ours has its ups, downs, and moments of madness. And that is why we love it. And that is why Group F will also offer its fair share of drama to the greatest carnival on earth.